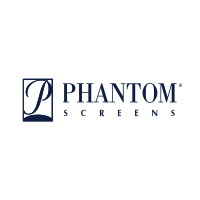 North America’s leading provider of retractable screens, Phantom Screens® offers insect protection, solar shading, temperature control and enhanced privacy for doorways, windows, and large openings. Phantom motorized wall screens can be recessed into almost any structure - completely disappearing when not in use. Always custom-made and professionally installed by factory-trained professional to ensure a hassle free integration.